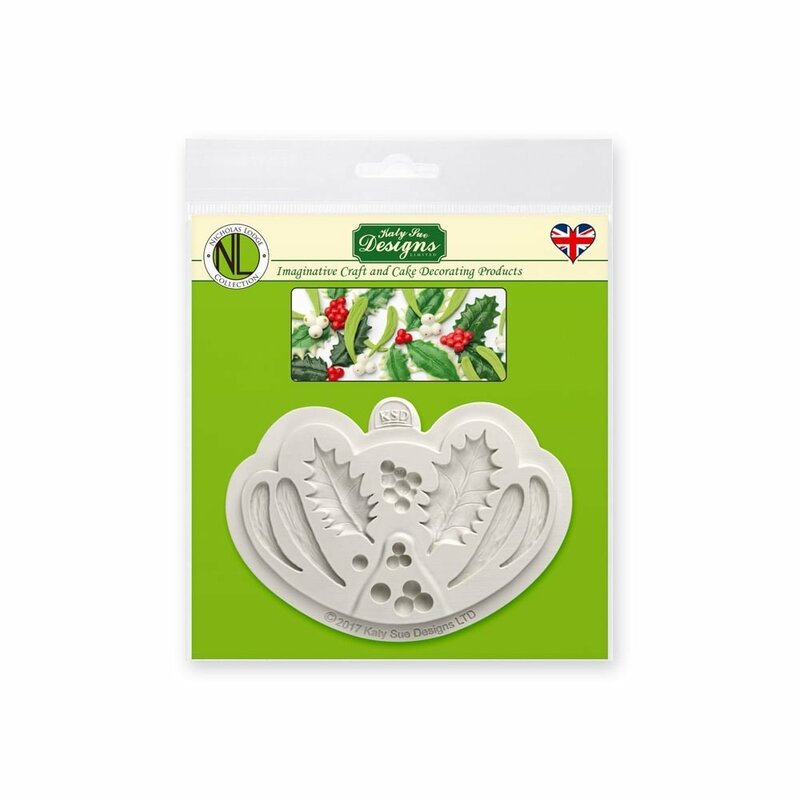 Small Holly Leaf Size - 1½ x ¾" & Large Holly Leaf Size - 1¾ x 1"
Holly Berry Clump Size - ¾ x ½"
Small Mistletoe Leaf Size - 1¼ x ¼" & Large Mistletoe Leaf Size - 1¾ x ¼"
Mistletoe Berry Trio Size - ½ x ½"
Created in collaboration with Chef Nicholas Lodge this Holly & Mistletoe cake decorating mould contains two detailed holly leaves (two sizes) plus berries, four mistletoe leaves (two sizes) plus berries. 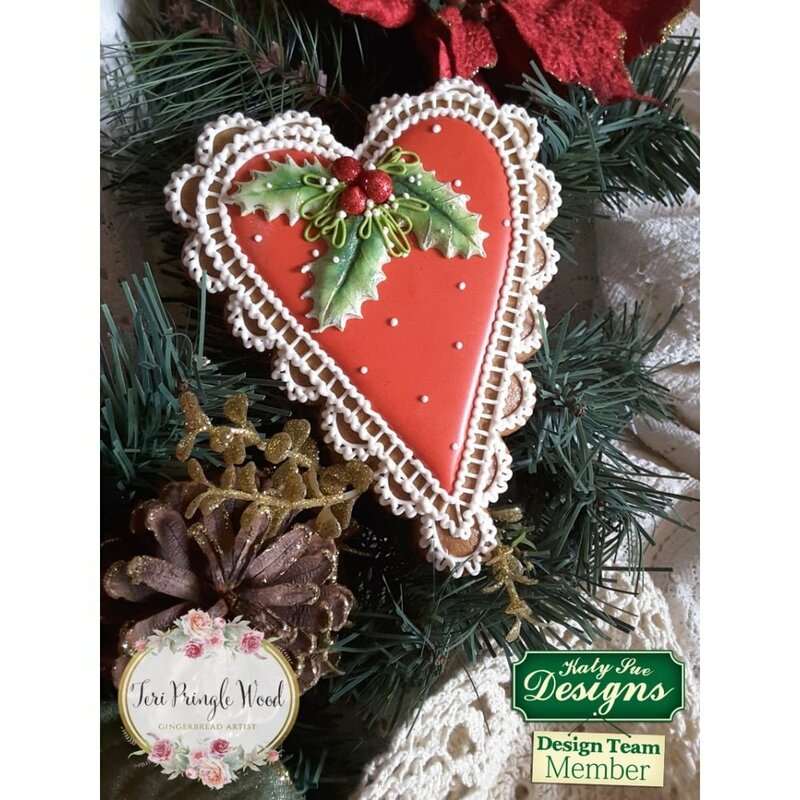 a gorgeous winter mould which you can use as part of a wired display, watch the full length Nicholas Lodge tutorial to see how. 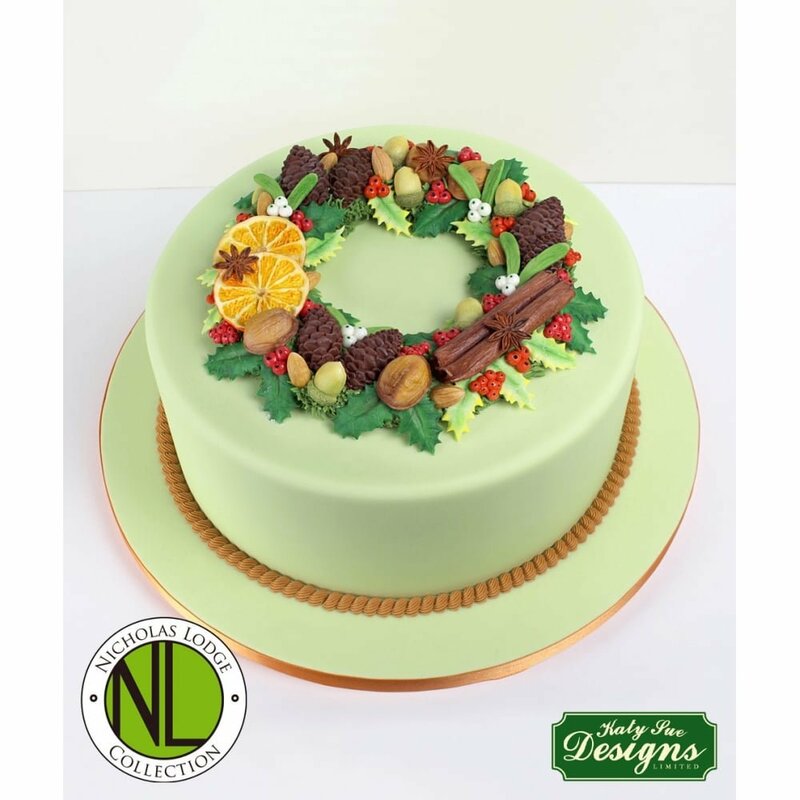 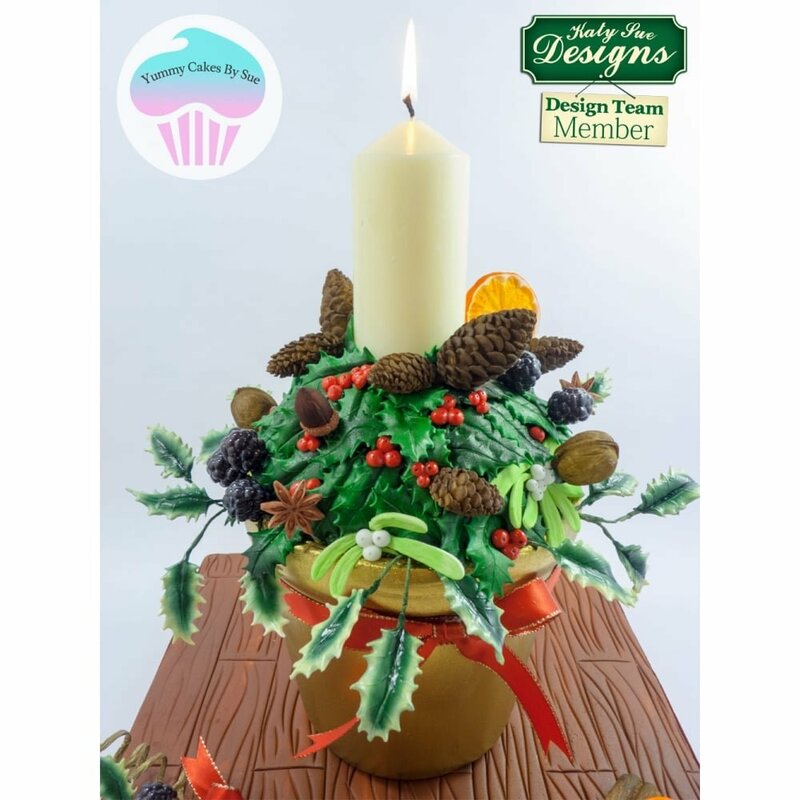 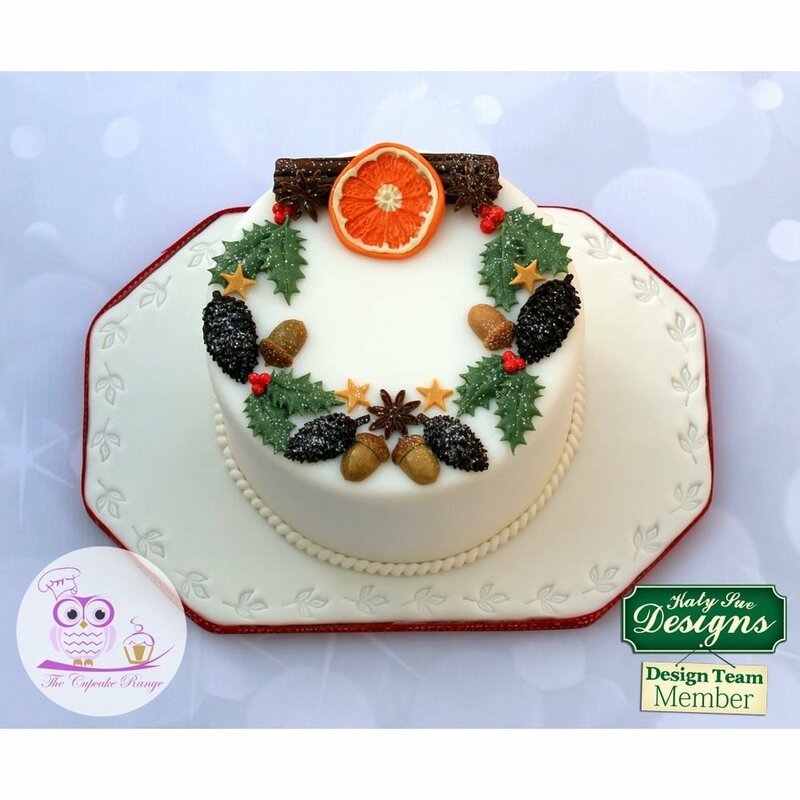 You won’t believe the realism you can achieve with this beautiful mould for seasonal, Christmas and winter celebration cakes and cookies. 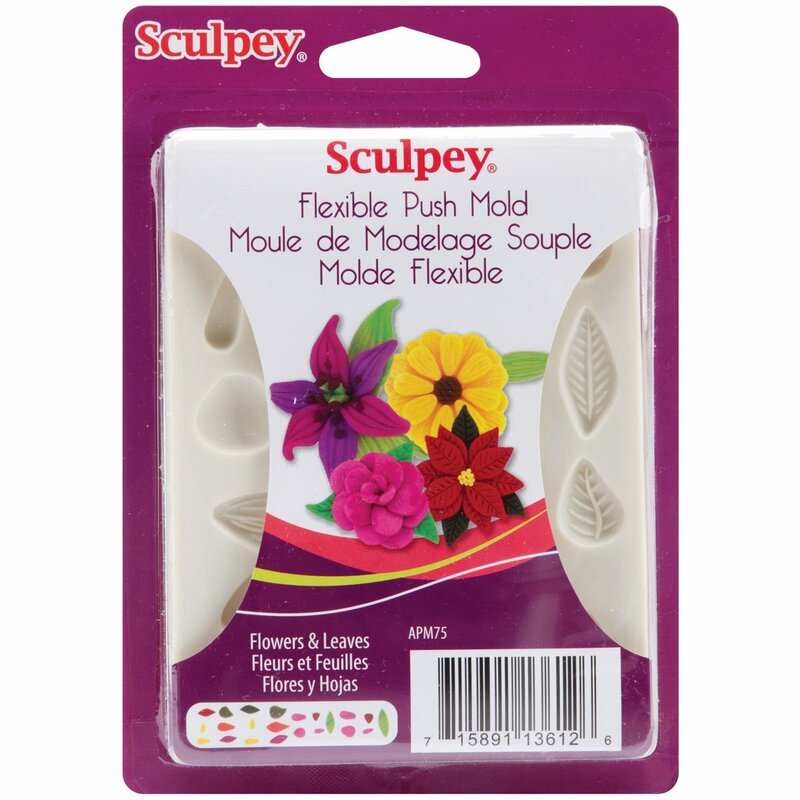 All our moulds are made in our factory here in UK and are made with FDA compliant food grade silicone. 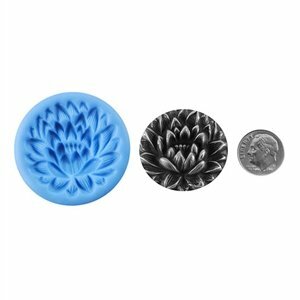 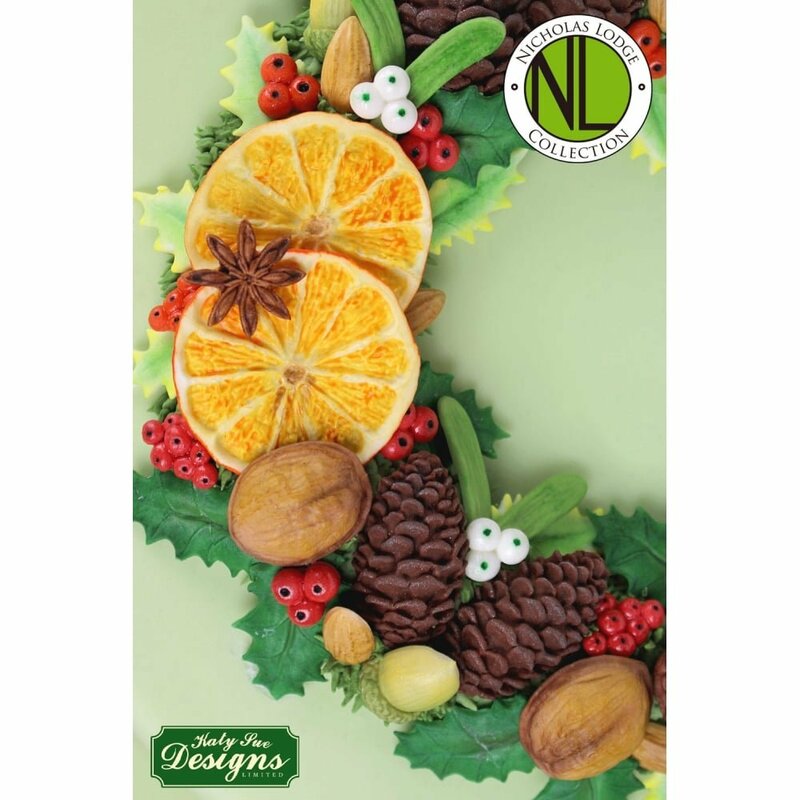 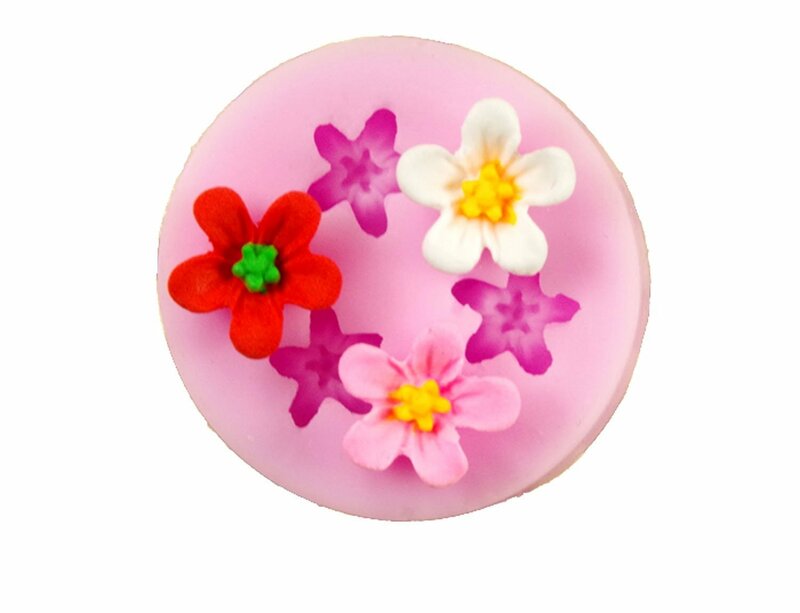 Our Moulds can be used with sugar paste, flower paste, modelling paste, marzipan, chocolate, candy, boiled sugar, polymer clay, paper clay, modelling clay, cold porcelain, salt dough and resin.